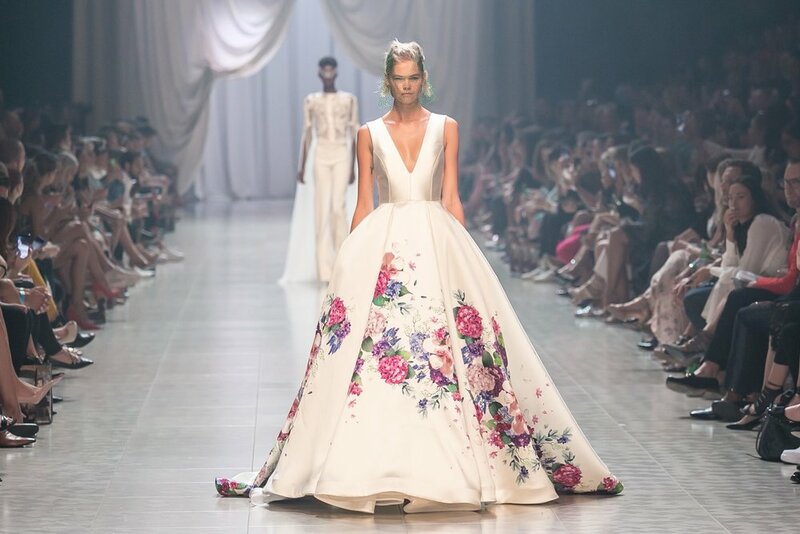 With a focus on delicateness, JASONGRECH’s Spring Summer 16/17 bridal collection ‘Regal’ is t for a princess‘I think this collection is a lot more feminine and sublime than my previous ones. There’s a stronger focus on beauty and softness,’ says Grech. Although the collection sees Jason’s softer side shine, his signature hardness has not entirely been left behind. Hints can be seen in the porcelain white studs, webbed strapping, and leather belts that adorn a number of pieces. 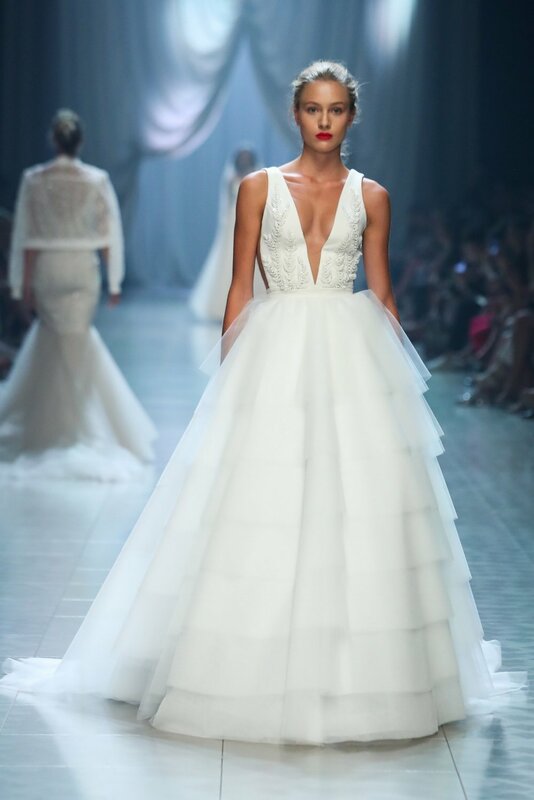 Grech has created a range of silhouettes, perfectly suitable for any gure, from form- fitting with sheer backs to ball gowns with full tulle skirts. The pieces feature weightless Italian and English tulles, billowing Italian silk satins and georgettes, French laces, heavyweight crepe, and richly beaded laces. Glistening Swarovski pearls and crystals, a staple among any Grech collection, certainly make their presence known. The palette consists of tones of nudes and oyster alongside natural white - it is a collection unconstrained by the tradition of the pure white gown. Pushing further away from convention, Grech has also cast aside the custom of silk covered buttons, opting instead to fasten his gowns with exposed zippers and hook and eye tape. The collection was captured last week in a stunning industrial setting that contrasts starkly with the ethereality of the pieces. A glowing cloud of owers by Liz Ricci of Flower Temple Melbourne, floats delicately above the collection, emphasising its grace and exaggerating its juxtaposition with its cold, hard setting. 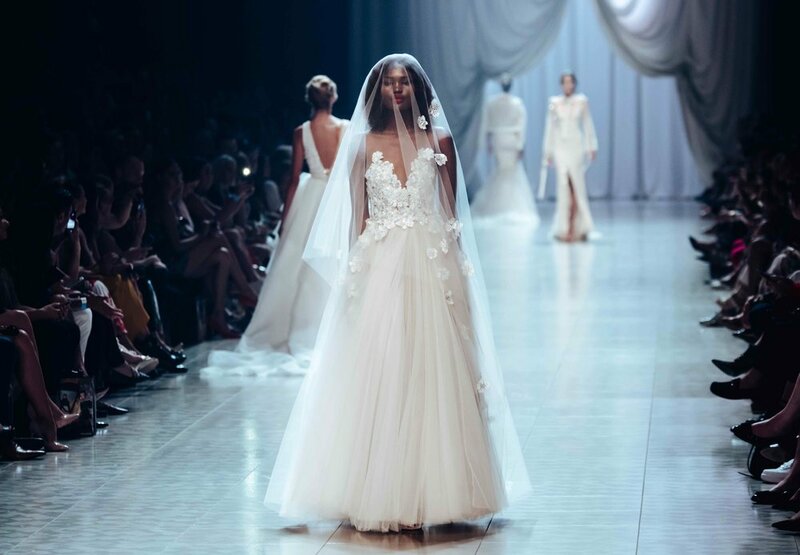 All JASONGRECH wedding gowns are made in our North Melbourne Atelier.